Kathy Moores is an Ayurvedic Therapist and yoga teacher who has trained with The European Institute of Vedic Studies and The British Wheel of Yoga. Studying Ayurveda with a number of highly regarded teachers including Atreya Smith and Dr David Frawley who are two of the leading western authorities on Ayurveda. 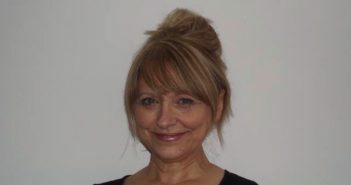 Kathy offers Ayurvedic treatments and consultations including guidance on foods, therapies, lifestyle, massage and yoga to suit your body type in and around the Worcestershire/Gloucestershire area. Kathy also runs workshops and retreats in the UK and abroad. Please click here to confirm that you have read and agree to The Spa Traveller use of the Ask The Expert facility. By making a submission you are agreeing to our Terms & Conditions Disclaimer and accept that you have no right of recourse in respect of any information or advice obtained or the use to which it may be put. The Spa Traveller would like to email you occasionally about, news, offers and activities and may contact you from time to time with carefully selected information.